It's been a minute since I have shared a restaurant round up with you so let's talk dining out, shall we? How I have never told you about the Tap before is beyond me. It was a go to spot for us and most of the other residents of the neighborhood for the entire time we lived there. We even shared some big moments there-- A birthday party for Alex, post-marathon lunches when Alex needed a wings and french fry fix, and even our wedding after party. The Jefferson Tap is everything you want from a neighborhood pub-- good quality bar food, a great beer selection, tons of TV's, drink specials, and a jukebox in a laidback atmosphere. The Jefferson Tap is also known for their pizza. Interesting, yes, that this neighborhood pub is known for pizza but theirs is really good! I may have indulged in a few slices at our wedding after party. It's a super thing crispy crust and cut Milwaukee "party-style," into small squares. They offer a handful of sizes and toppings, which is perfect for Alex and me since we have very different taste when it comes to what goes on our pizza. The tortilla chips served at the Tap are amazing! 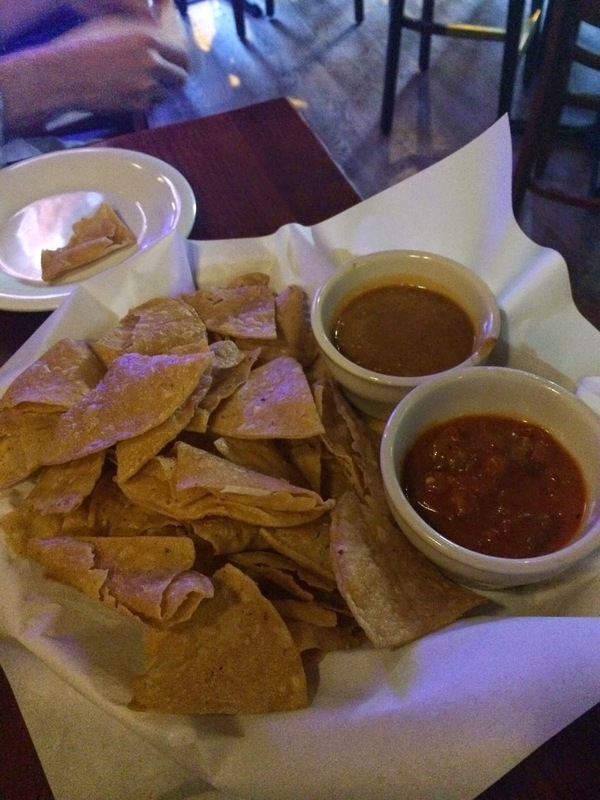 Thin, salty, and super crispy, they are perfect for dipping in their housemade salsas. I'm an especially big fan of their avocado salsa-- it's sort of a mashup between guacamole and salsa verde with a little heat, a little tang, and big chunks of creamy avocado. I have come to the Tap with more than a few girlfriends for a glass of wine, a basket of chips and avocado salsa, and girl talk. Another big surprise is that the Jefferson Tap has some really great wraps and salads on the menu, perfect for when I want to eat something lighter. I love their Thai Chicken Avocado Wrap, which they also sometimes serve as a salad special with red pepper strips, cubed avocado, and chili lime dressing. I'm also a big fan of their Greek Salad, the Baby Spinach Salad with pear and gorgonzola, and the deliciously soft and warm pretzel breadsticks they serve on the side. So, if you're in the FRD and looking for some great pub food-- from any of the above to burgers, wings, tater tots, etc.... the Jefferson Tap is your place! The Dawson is one of the newest additions to the Fulton River District dining scene and it is definitely one of the trendiest. This restaurant is huge with soaring double height spaces adorned with cool modern rustic light fixtures, a bustling central bar, and a spacious and comfortable patio complete with a fireplace perfect for cocktails and catching up al fresco. The restaurant has really helped to make the FRD a destination neighborhood for foodies around Chicago. First up: the deviled eggs. Alex loves deviled eggs and will order them anywhere. These eggs came in a surprising and gorgeous pink color with a touch of spicy sriracha, salty savory anchovy and scallion in the creamy egg filling. They were such a fun and pretty twist on a classic picnic snack. And while I wasn't a huge fan (because I don't love the fattiness of pork belly), the rest of my table really enjoyed the pork tacos. These petite tacos included soft pork belly, crunchy slaw, and a crispy hard taco shell. Though I am picky about my pork belly, I really did like the flavors in these tacos-- and the surprising crunch of a fried taco shell, which you don't often see in a higher end taco preparation. One of the best things that I tried all night-- and something I would absolutely come back for-- was the burrata tartine. A piece of crusty toasted bread topped with warm creamy burrata, fried Brussels sprouts, bacon lardons, and topped with a sweet apple syrup. I loved this combination of so many different flavors and textures-- all from a few of my favorite ingredients. For an entree, I ordered The Dawson's housemade gnocchi with lamb ragu. We were there on a blustery night and this dish was the perfect item to order. The gnocchi was super tender and served with a slow braised lamb that fell apart with the touch of a fork. The sauce was less thick and more brothy than I expected from a ragu, but I really loved it with the rich lamb and gnocchi. The whole thing was topped off with some peppery raw arugula and freshly grated parmesan, which pulled it all together. I would absolutely order it again. This quirky cafe is another staple of the Fulton River District. It's funky atmosphere feels very much like the cafes and coffee shops I visited in Europe-- and their menu echoes that. Iguana Cafe serves a variety of sandwiches, pastas, waffles, and are especially known for the wide selection of crepes on their menu. I love a crepe-- sweet or savory-- but since Alex and I stopped in for lunch, I opted for the Amsterdam crepe. 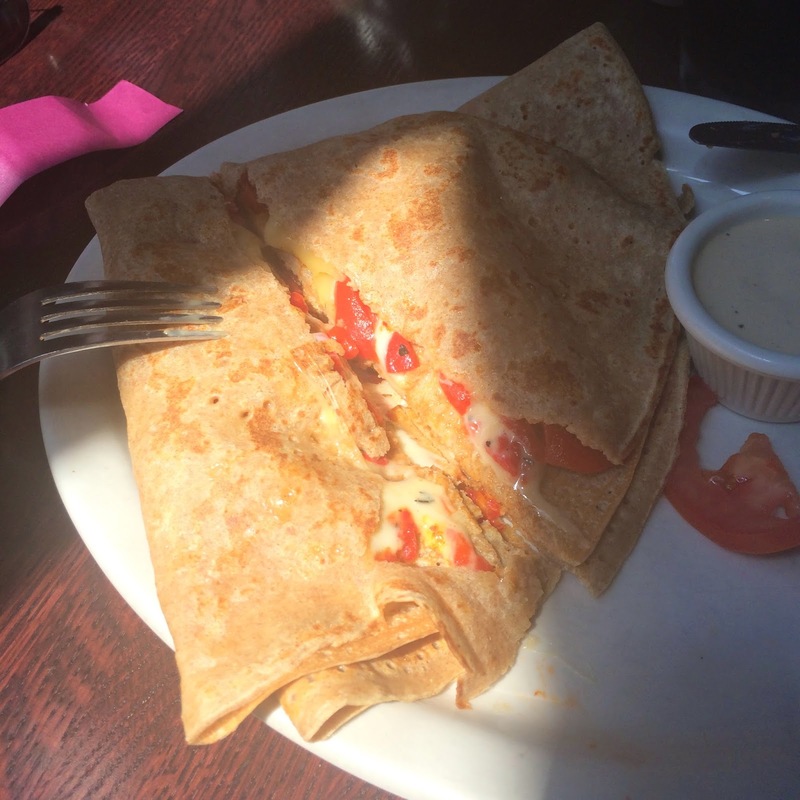 This vegetarian crepe was filled with a creamy melty combo of gouda and muenster cheeses, sun dried tomatoes, and roasted red peppers, seasoned with a little oregano. It was a really satisfying and filling lunch-- like a crepe grilled cheese. PS The Iguana Cafe also houses a real live iguana that is visible in one of the corners of the restaurant! 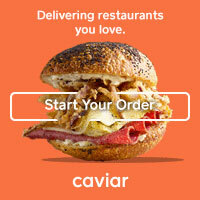 Servers at San Francisco restaurants were extremely courteous, professional, and fun. We tried a couple of new things and they were all incredible. We were stuffed with quality food. Almost impossible to find something like this in the city.